Yediot’s editorial page is also an ongoing venue for critical commentary. This morning, columnist Yael Gvirtz further elaborated on the “foreign policy gone wild” theme of Sunday’s op-ed by Uri Misgav. It is hard to keep track: the damage with Turkey has not been fixed yet, the weekly damage with the Palestinians and the Arabs of Israel has not been assessed yet, and now we have opened a new front of confrontation with the Congress in Washington. 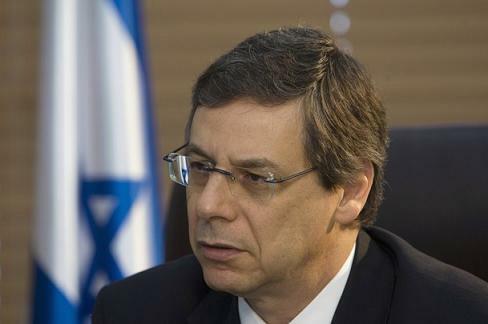 Danny Ayalon is managing to outdo even Lieberman with his diplomatic recklessness, and that is no mean feat.The government of Israel may have countless ministers, but none of them have a deputy minister the likes of the Foreign Minister’s. The damage is too great, too daily. It must stop immediately. Ayalon has to go. If Netanyahu is unable to exercise his responsibility and get Lieberman out of the Foreign Ministry, the least he can do is remove Ayalon immediately. Without the Israeli government having a political agenda, in the vacuum where the deputy foreign minister is almost the only one (except for his minister) creating “political headlines” abroad, the assassination in Dubai and the diplomatic embarrassment over the illegal use of passports suddenly emphasize the obvious: that Israel needs a functioning Foreign Ministry, professional Israeli diplomacy and diplomatic credit with the rest of the world. It needs every drop of milk that Lieberman and Ayalon spilled down the drain in the last year. Everything built over years of steadfast work was wildly smashed in one year and is gone. Until now it was a disaster, but now it is a calamity. Until now Netanyahu and Barak tried to put out the daily fires by issuing explanations that “it is not us.” Now we are talking directly about the state of Israel, the need to handle the Dubai mess, the embarrassment and the damage to our intelligence colleagues in Europe. This fire is too big for the last standing icon we have in the international scene, Shimon Peres, to put it out. Now it is plain to see that Israel does not have a Foreign Ministry. The Foreign Ministry has burned down and our credit in the world was destroyed.It is bad enough that Ayalon treats the Foreign Ministry as if he were the boss, but his declarations and actions now show that the boss has gone crazy, that the deputy minister has shot Israel’s already beaten up image to hell. Even if when he was appointed he could have been given credit for having elementary diplomatic experience, one year later it is clear that his was a radical casting error that made Israel’s foreign policy a bizarre parody. It is clear that Israel’s image and foreign relations are in the hands of a pyromaniac, just like we can be sure that the next diplomatic catastrophe of his doing is around the next corner. When eyebrows were raised over the appointment of Lieberman and Ayalon, Netanyahu intimated that the appointment doesn’t really matter because he would be managing foreign policy himself. But as opposed to Rabin and Sharon, Netanyahu has not led any diplomatic program in the last year, so he cannot enjoy the defense claim that he served as the acting foreign minister. In fact, he abandoned the Foreign Ministry and its staff to the two bandits from Yisrael Beiteinu and let them do with it as they pleased. The problem is that even a supposedly magician does not have a big enough magic trick to blur and cover a destructive reality. Reality always shows itself in the end and now it’s time has come. The luxury of escaping it has ended. In the present mess Netanyahu cannot allow himself to wait any longer. He has to preempt Ayalon’s next blow by pulling this thorn out of the Foreign Ministry as the first step in repairing the damage. The story has already been covered: On the instruction of Deputy Minister Danny Ayalon, the delegation was denied access to senior Foreign Ministry officials. 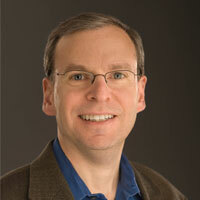 It would be offensive to compare Danny Ayalon to Sancho Panza would be offensive – offensive to Sancho Panza, that is. Don Quixote’s assistant was intelligent and cunning and tried to correct his master’s mistaken perception of reality. Ayalon has recently gone out of his way to show stupidity and to wag his tail to please his master. Don Quixote may have tilted at windmills but he was motivated by idealism and good intentions. 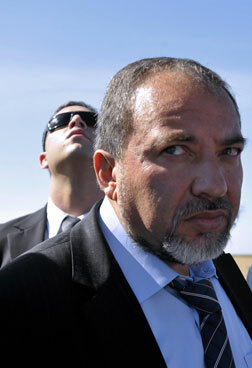 Lieberman is destructive and malicious and his approach is driven by personal and political machinations. Under the aura of this pair, and with the tacit agreement of Netanyahu and Barak, Israel’s foreign policy has become a caricature. It has to be seen to be believed. The state of the Jewish people, which has fought boycotts for generations – in the UN Assembly, in Asia, in the Arab world, in academia, and in sport – has become the kingdom of boycotts and banishments. This is happening at the same time that Israel is subject to worsening international isolation, and astonishingly the targets are series of allies: Sweden, Norway, Turkey, and now J Street. The visitors were so offended that in an exceptional move they convened a press conference, demanded an official explanation, and protested at their depiction as enemies of Israel. It will be interesting to see what they have to tell their friend Rahm Emanuel when they return to Washington DC. Is there no-one in our government of midgets who can stand up and put an end to this madness? Throughout the scandal over Deputy Foreign Minister Danny Ayalon’s “boycott” of the J Street sponsored congressional delegation to Israel (a good wrap here,) not one Israeli official, politician or public opinion maker came out in public support of Ayalon. Except that is, MK Michael Ben Ari, a self-proclaimed Kahanist with connections to the JDL, who was recently denied entry into the US. This short interview with the settler news service Arutz 7, is worth reading in full for an understanding of some of the forces supporting Israel’s current foreign policy. 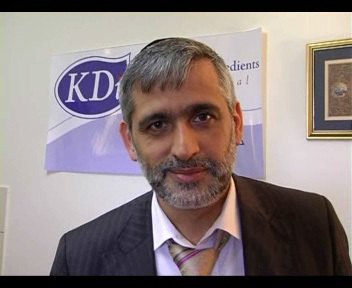 On Thursday (February 11, 2010,) we reported on the involvement of Kahanists in anti-NIF advocacy in the US. The story below, from this morning’s Israel Hayom (a tabloid owned by Sheldon Adelson,) reports that (apparently following the UC Irvine incident) they are now organizing to provide security for Ambassador Michael Oren and other Israeli dignitaries at US public events. Hopefully, the results of this initiative will not resemble scenes from The Altamont Free Concert. Deputy Foreign Minister Danny Ayalon and Israel’s US Ambassador Michael Oren may not like the new initiative, but in the wake of recent incidents, they and other representatives of Israel worldwide are in for some unexpected help from extreme-right activists. 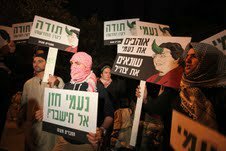 In recent days, prominent right-wing activists conversed with activists of the Jewish Defense League abroad, as well as with other right-wing activists and students who attend universities in the USA and Europe, who expressed an interest in the idea of reviving the League. The Jewish Defense League was founded by Rabbi Meir Kahana in the late 1960s, and it was active for some two decades before it faded away. The idea to revive the League was born after pro-Palestinian students interrupted lectures by Ayalon and Oren in US and British universities. The League will work in two directions. First, organization activists will show up at events that Israeli diplomats are expected to address and try to prevent students from interrupting their lectures. Second, they will prevent diplomats from enemy countries or from countries that are hostile toward Israel from speaking at university venues. “Those who exploded events attended by Israeli representatives will live to regret it,” said right-wing activist Itamar Ben-Gvir. Kach, Kahana’s political movement, was outlawed in 1988. Now that Im Tirzu has been discredited all manner of right-wing hacks are attempting to keep the anti-NIF libel alive. There are the usual suspects, of course, like NGO Monitor’s Gerald Steinberg, who, though shamed, can still get some space in the more parochial Jewish media; or settler fundamentalist leader Israel Harel, who serves as Haaretz’s token nationalist columnist. Apparently, however, my expectations of an outlet like the New York Jewish Week (NYJW) were unrealistically high. They have just given slander space to a recently exposed fraud. 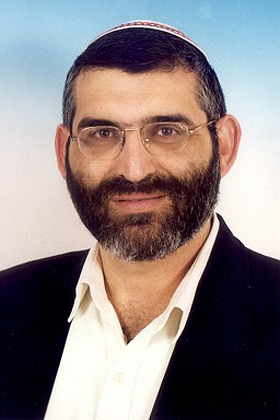 In a column labeled “special” to the NYJW, David Bedein of the “Israel Resource News Agency” (IRNA) regurgitates Im Tirzu’s copiously debunked allegations, adding a few flourishes of his own. Dr. Amir Paz-Fuchs is a lecturer in the Faculty of Law at Ono Academic College and a member of the board of Bimkom — Planners for Planning Rights. This analysis compiles a critical mass of examples of misrepresentation of data in the Im Tirzu anti-NIF “report.” A recent Keshev report underscores substantial omission of relevant data. Combined, regardless of whether they are the result of malice or incompetence, these systematic flaws are more than enough to cast doubt on the reliability of the entire report and on the organization using it to demonize Prof. Naomi Chazan as an individual, the NIF as an organization and Israeli human rights NGOs as a community. 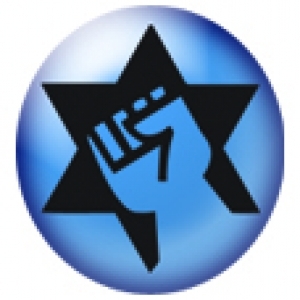 On January 29 2010, journalist Ben Caspit presented his political credo in Maariv’s Friday Political Supplement, providing broad and extensive platform to a shallow and poorly conducted “report” by a movement named Im Tirzu (“if you wish” in Hebrew) According to the “report” and the article, “the New Israel Fund sponsors very many Israeli organizations that supplied the Goldstone Committee with incriminating materials against the IDF.” That was reason enough for the Knesset Constitution, Law and Justice Committee to establish a subcommittee to look into how foreign foundations sponsor Israeli organizations. 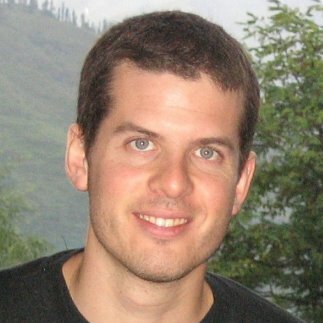 However, detailed examination of the data supporting the allegations against the sixteenIsraeli NGOs listed by the “report” should be reason for worry for anyone honestly concerned about Israel’s future: If indeed, as Im Tirzu leader Ronen Shoval told Caspit, the researchers were trained by the IDF Intelligence Corps, our security situation is even worse than previously thought. The “report” is so amateurish that its authors would have flunked their course if they submitted it as a college paper. There would also be a good chance the institution would task a faculty panel to investigate suspicion of intentional distortion of data. A report by Keshev — The Center for the Protection of Democracy in Israel examined the main Israeli sources referred to by the Goldstone report and, unsurprisingly, found that the Im Tirzu study simply chose to ignore many of the citations: of Israeli cabinet members [see Yishai quote below], IDF generals [paragraph 14, see Eizenkot quote below], government-affiliated organizations, and major Israeli media, Maariv included. If we are to follow the rationale of the “report”, they too should be accused of “causing Israel serious political damage and harming its military ability to defend itself at war,” and they too should be considered “extreme leftists and anti-Zionists” (sic). Following in the footsteps of Keshev’s Yizhar Be’er, who focused on the omissions of the Im Tirzu “report,” I will now proceed to examine the substance of the charges leveled at the Israeli NGOs. Allegedly these organizations provided the Goldstone committee with “incriminating materials.” How did the Im Tirzu researchers reach that conclusion? They counted the report’s footnotes (!) and eagerly listed the organizations they mentioned. The problem is that if only those researchers bothered to read the footnoted texts, they would have realized that in many cases, the issues did not at all pertain to Gaza, but to the West Bank and even to human rights in Israel. Furthermore, in most cases, the cited passages were taken from reports, press releases, or petitions to the Israeli High Court of Justice authored and published or filed long before the Gaza war. Many were authored by organizations whose mandates do not include the Gaza Strip and their materials were cited in relation to human rights in Israel generally. Of the sixteen organizations listed, only four actually testified before the committee. Below is a list of citations which the Im Tirzu “report” used to support its allegations, but which, for better or worse, cannot be substantially connected with the committee’s research inasmuch as it pertains to the inquiry of the IDF and defense forces’ activities during the Gaza operation. Ad on page 3 of the January 31 edition of the Jerusalem Post. The Association for Civil Rights in Israel (ACRI): “Incriminating materials” include a report [page 5] on police refusal to permit a demonstration in Tel Aviv during the war if Palestine flags were displayed and a report East Jerusalem residents’ rights. In addition, ACRI joined Attorney Daniel Reisner, former head of the IDF International Law Department, in providing information regarding the ratio of IDF investigations to civilian deaths during the Second Intifada (footnote 750). Hamoked — Center for Defense of the Individual: Citations irrelevant to IDF conduct during the war: Palestinian freedom of movement between the Gaza Strip and the West Bank; quotation of Justice Minister Daniel Friedman (!) calling for the denial of rights to Palestinian security prisoners in Israel as an instrument of pressure for the release of Gilad Schalit; and a High Court of Justice petition prison conditions in Israel. Yesh Din — Volunteers for Human Rights: This NGO operates almost exclusively in the West Bank, which explains why Goldstone cited its reports on on Israeli military courts in the West Bank, IDF accountability regarding violence against Palestinian non-combatants in the West Bank (which cites a 2005 Maariv article! 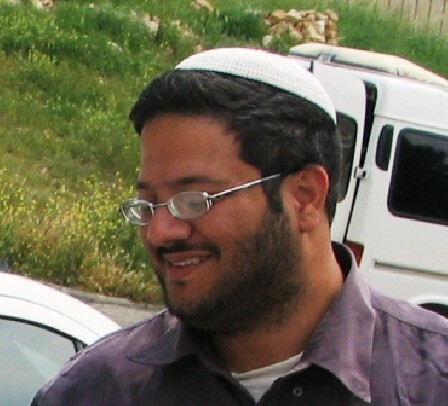 ), and a High Court of Justice petition on West Bank residents held in Israeli prisons. Despite their lack of relevance, Im Tirzu aggregated these citations into the “incriminating materials” statistics. Physicians for Human Rights — Israel (PHR-I): A multitude of PHR sourced “incriminating materials” counted by Im Tirzu refer to issues such as: the pre-war Palestinian, ongoing closure policies, and the treatment of Palestinian prisoners. An interview the committee held with PHR representatives (footnote 1037) on the lack of bomb shelters in Israeli Bedouin villages within Kassam rocket range is also considered “incriminating” by Im Tirzu. Gisha — Legal Center for Freedom of Movement: A report on the implications of the pre-war Gaza blockade and a position paper on the ongoing Israeli policy of separating the Gaza Strip and West Bank, are considered by Im Tirzu as war crimes eveidence. Bimkom — Planners for Planning Rights: That organization never dealt with the situation in the Gaza Strip, neither during the (relative) calm nor during the fighting. Indeed the only references to its materials relate to planning policies in Area C in the West Bank, and with the impact of the separation fence Palestinian life in the West Bank. According to Im Tirzu, however, these are among the cornerstones of the Goldstone’s criticism of the IDF’s conduct during the war. Rabbis for Human Rights (RHR): This NGO earned its place on the “incriminating sixteen” list beacuse of one citation — as a petitioner against the demolition of the vast majority of houses in a Palestinian village in the Jordan Valley. Itach — Women Lawyers for Social Justice: This NGO is not even mentioned in the Goldstone report. Im Tirzu decided to include it anyway, however, because it found a reference in one of its publications to a letter by eight other human rights organizations to the attorney general, urging an independent Israeli investigation ion IDF conduct during the war. 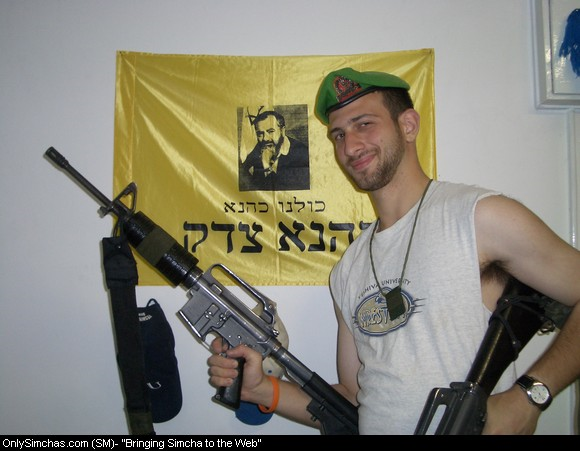 Similarly, Machsom Watch and New Profile are listed because of their association with anti-war protests in Israel. 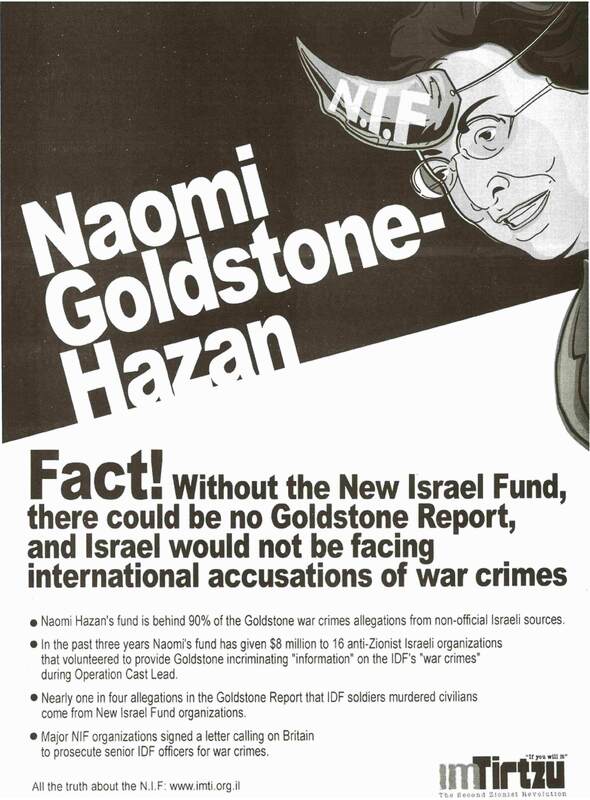 Both organizations are not referenced by Goldstone. Other Voice (Kol Aher) — For a Civil Solution in the Sderot-Gaza Region provided the Goldstone committee with information for the chapter it devoted to the daily and ongoing suffering of Sderot residents and students of the Sapir College because of Kassam attacks. This analysis provides a critical mass of examples of misrepresentation of data in the Im Tirzu “report.” The Keshev report underscores substantial omission of relevant data. 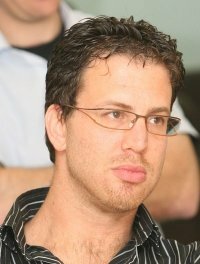 Combined, regardless of whether they are the result of malice or incompetence, these systematic flaws are more than enough to cast doubt on the reliability of the entire report and the organization using it to demonize Prof. Naomi Chazan as individual, the NIF as an organization and Israeli human rights NGOs as a community. Yet for ten days media outlets have been treating the issue as, at best, a symmetrical controversy. Independent fact-checking, is, apparently, an anachronism. 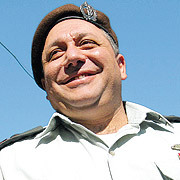 Editor’s note: In an interview tonight (February 9 2010) Im Tirzu leader Ronen Shoval told the JTA’s Ron Kampeas (one of the few journalists covering the substance of the report consistently and responsibly) to “check the Goldstone report for a single mention of Sderot from an NIF group and get back to me.” Items 2 and 11 provide multiple mentions. If Shoval is willing to include Bedouin citizens of Israel, even if though they are not Jews, in this equation, item 6 also applies. What is Shoval thinking? Either he is not familiar with the report or he assumes that nobody will bother to check the veracity of his assertions. This is the man who sees himself as a future national leader; the man whose reporting nearly led the Knesset to establish a parliamentary commission of inquiry.